Your residence has the potential to be a very exciting place. After making a few improvements, your time at home will be even more fulfilling. 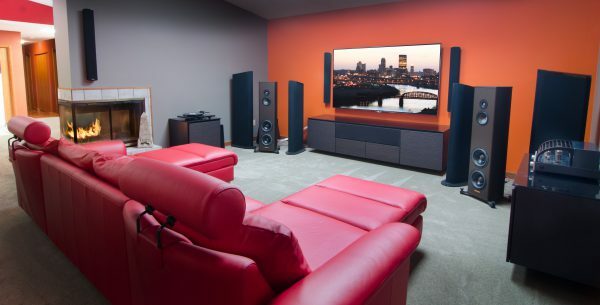 Here are some of the key benefits of investing in a home theater. A good home theater will provide a thrilling movie-watching experience. With the average cost of a movie ticket exceeding $8, a home theater can save your family a great deal of money over time. The high-quality speakers will enable you to clearly hear every sound. Like an actual movie complex, home theater systems are available with Dolby Digital surround sound. This will help you to remain captivated throughout the entire film. Furthermore, you will not have to worry about being annoyed by obnoxious moviegoers. Although there is nothing like actually attending a sporting event, there are times when you may prefer watching the game at home. Furthermore, a lot of people hate sitting in the nosebleed seats. Whether you are watching Floyd Mayweather’s latest fight or viewing the Daytona 500 race, you will be rewarded with an extremely realistic viewing experience. Instead of going down to the local bar to watch the game, you can kick back at home with a group of friends. If you or your child loves playing video games, the home theater unit will definitely come in handy. The graphics and sound reproduction will be outstanding. All you need is to add a couple of gaming chairs to the room.